When I told people I was planning a road trip to Colorado, most had thought I’d gone crazy! Even though this wasn’t the first option, it ended up working out. We had six unforgettable adventure-filled days exploring Colorful Colorado, easily making it one of our favorite trips. Have you ever put off buying airplane tickets, thinking, “Surely these prices are gonna go down! And when they do, I’ll be there to buy them.”? Well, that was my rationale for buying tickets to Denver to attend a family wedding. And three weeks before the wedding, I gave up. The tickets had soared to $450 a person– for a direct, 1 hour flight, round-trip… Not to mention we would have had to pay for boarding for our dog, and his usual kennel was full anyways. 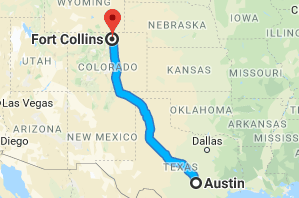 So, a quick search showed that Austin, Texas was roughly 1,000 miles from Fort Collins, and would be a 14-16 hour road trip. We didn’t want to miss the wedding or spending time in Colorful Colorado with our family, so we knew what needed to be done: time to book a rental car! We ended up getting a great price on a high mileage, 2016 Nissan Altima at the Hertz right up the road. We also looked into getting a Prius as it is the car to use for Uber driving, which means it would have plenty of room for all of us and would be reliable. I’m not trying to do this road trip to Colorado again, at least for many, many years. However, thanks to the rental car, we were able to explore so much of Colorado. So I’m incredibly grateful for that. The wedding was next to the river in Poudre Canyon, right outside of Fort Collins. It was a beautiful night with perfect weather! We made it for the wedding! On our way up on Tuesday (we left at 5pm), we decided to drive straight to Fort Collins to arrive around lunchtime on a Thursday. On the way back down, we spread the drive out over two days, with a night in Amarillo before heading back to Austin at noon. For the sake of this post, I’ll detail the journey starting with Amarillo, and heading north to Fort Collins. Our 14 hour, 982 mile long Colorado road trip. So if you find yourself in my position, or just enjoy long scenic road trips, here’s a good map of things to do on your way to Colorado. 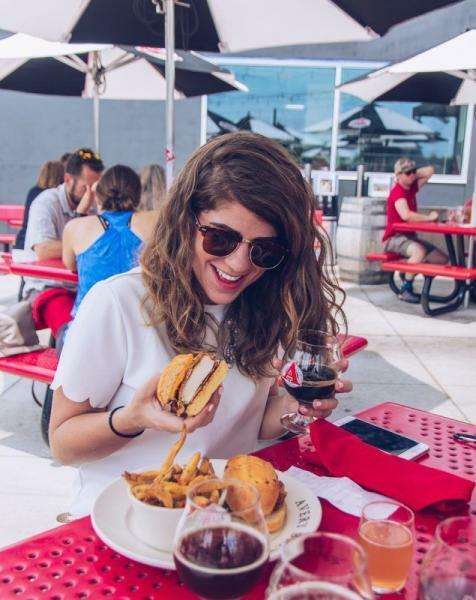 Plus, tips from our experience. Download all the podcasts and Broadway soundtracks before hitting the road to save your data. If you’re renting a car, make sure you bring an AUX cord! Stock up on snacks before hitting the road, since you’ve got a car pack ice and picnic-type food for more filling snacks. Keep the AC on high. Keeping your car at a nice and cozy temperature will make you feel like falling asleep! 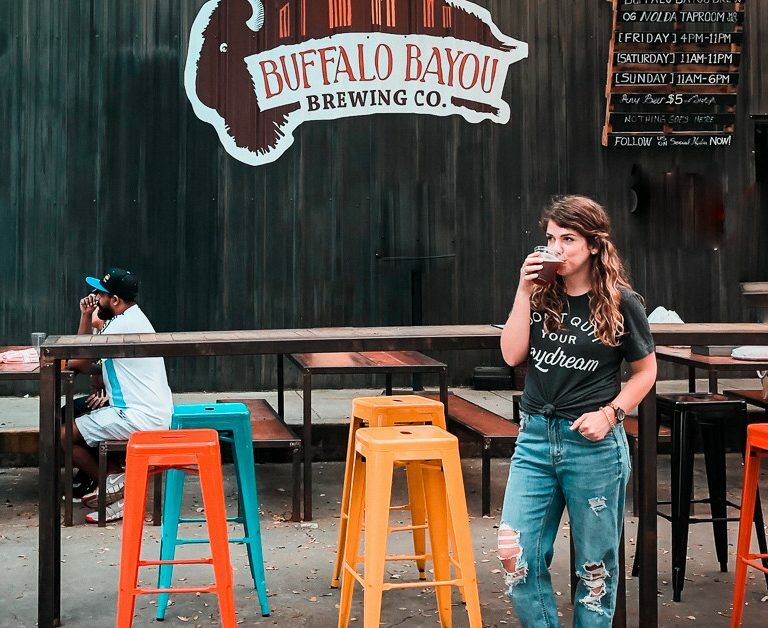 Travel clothes are comfortable clothes, think yoga pants, and light tees. Texas is HUGE! The road trip wasn’t all that bad, once we were out of Texas. 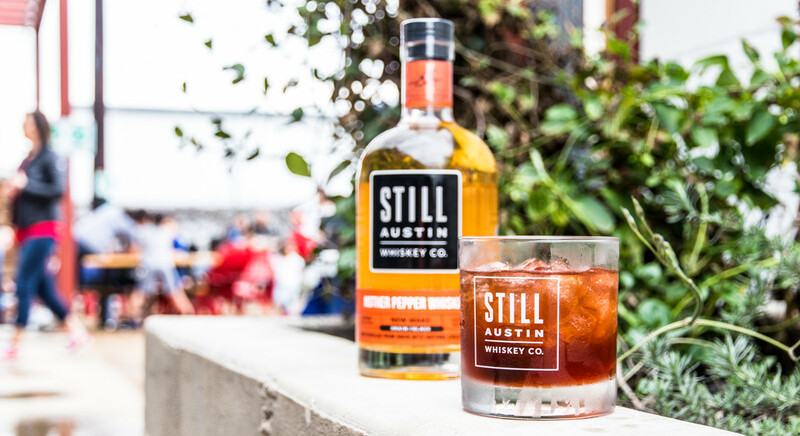 Which took nine hours from Austin, Texas…. One of the coolest parts of the drive, was when we traveled through the Roscoe Wind Farm. With 634 wind turbines, it’s the largest wind farm in the country! If you’ve ever seen those big trucks carrying the blades through traffic, you can imagine just how big the final product is. In real life though, they leave in awe with their size. The biggest cities in that side of the state are Amarillo and Lubbock. Not much to do in either, but Amarillo definitely has more. Most notably, Cadillac Ranch. 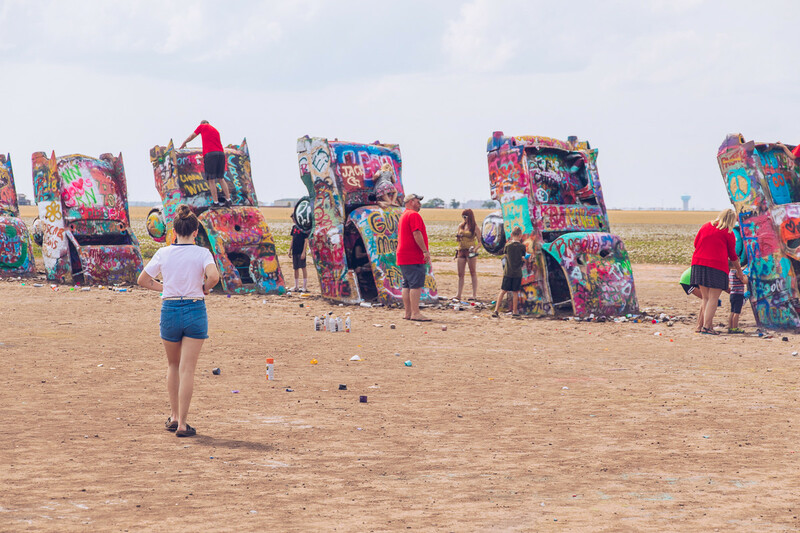 Built in 1974, Cadillac Ranch features 10 graffiti-covered Cadillacs standing upright in a row, buried nose-first in the ground. The sculpture is the work of eccentric, Amarillo millionaire, Stanley Marsh III. It was crowded, but such a cool site to see. 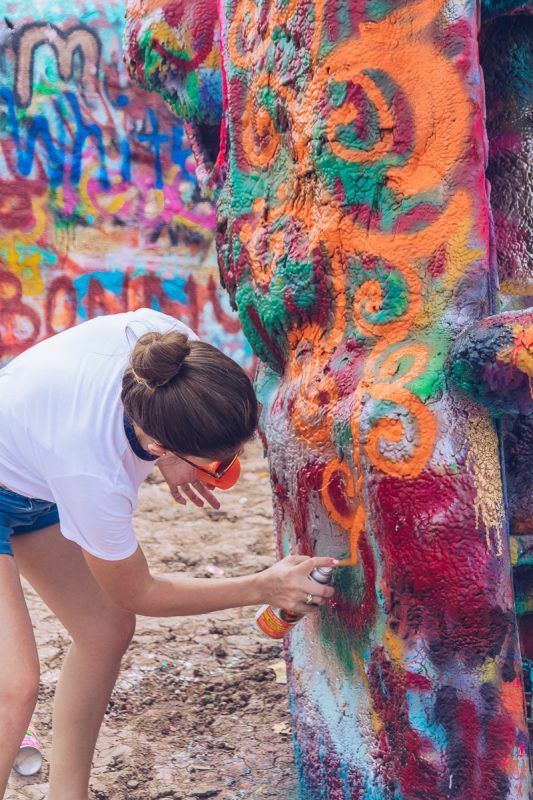 Don’t worry about bringing your own spray cans. there are plenty of neon color options laying around for you to leave your mark on the cars. I was a little disappointed by all the trash tossed around at the site. So do me a favor and when you visit, take a bag of trash out with you! There really isn’t much in the small corner of New Mexico that you drive through from Texas to Colorado. It’s only a few short hours, but this is the part of the road trip to Colorado where you begin to gain altitude! Alternately, you can swing through Oklahoma instead of New Mexico. But the drive through New Mexico has much better views. Colorado Springs has an elevation of 6,035 feet and is a city 70 miles south of Denver. 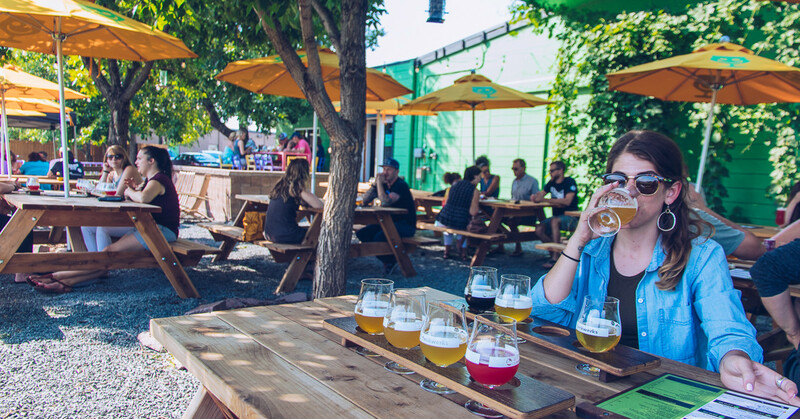 The city is most known for the Garden of the Gods, and it’s huge craft beer scene. We stopped here on the way back to Texas, since we had more time then. Being with our dog, in the middle of summer, we were somewhat restricted in what we could do. While we had time to stop by the Garden of the Gods, we couldn’t because timing put us there at the hottest time of the day. However, make a stop at Garden of the Gods on your way up. If you time it right, you could arrive there just as the sun begins to rise. 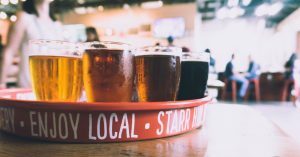 With more than 27 local craft breweries, Colorado Springs is a huge beer destination with some unique taprooms. 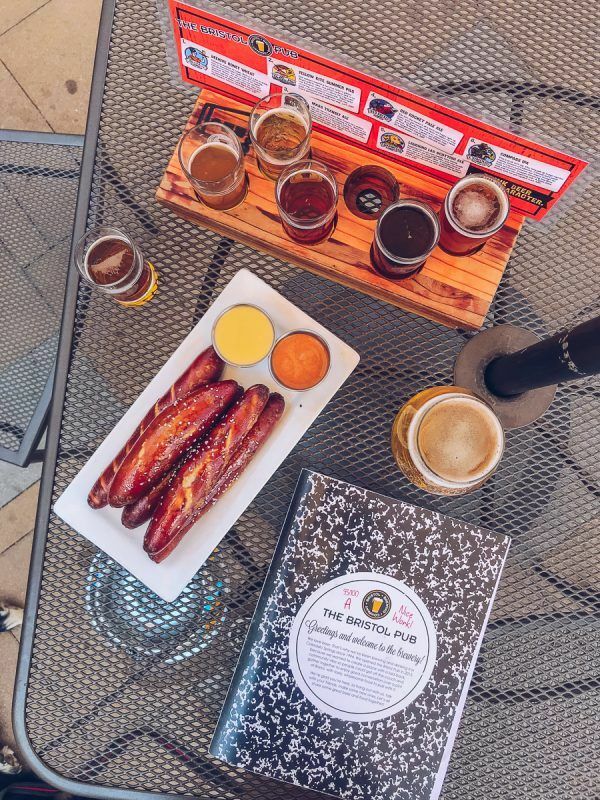 We had time to visit Coldcamp Brewing Company and The Bristol Pub, which is housed in a former school! 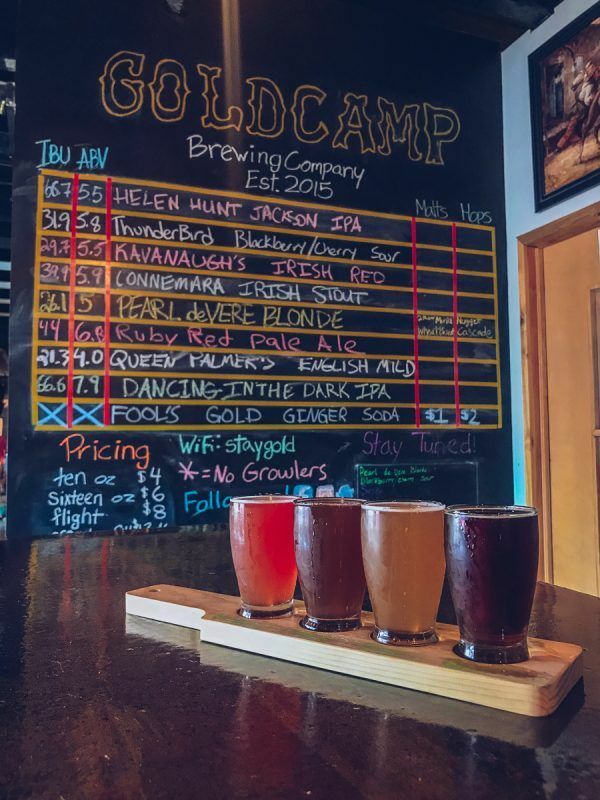 Wish there was time for more as would have also love to stop at Local Relic and Phantom Canyon Brewing Company. 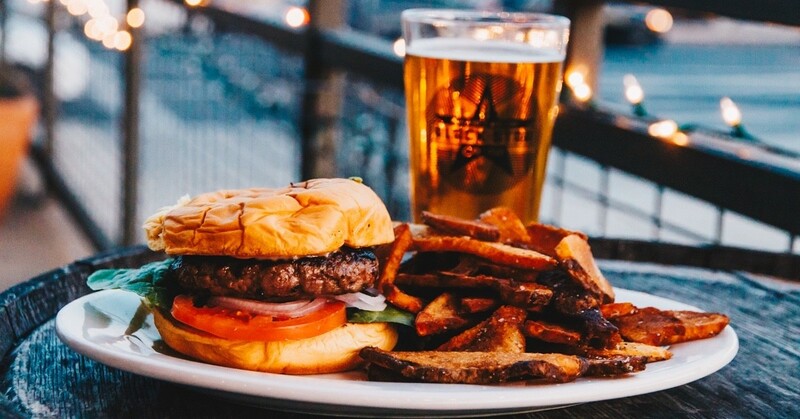 The Bristol Pub: Charming brewpub in a former school with a large, dog-friendly patio. 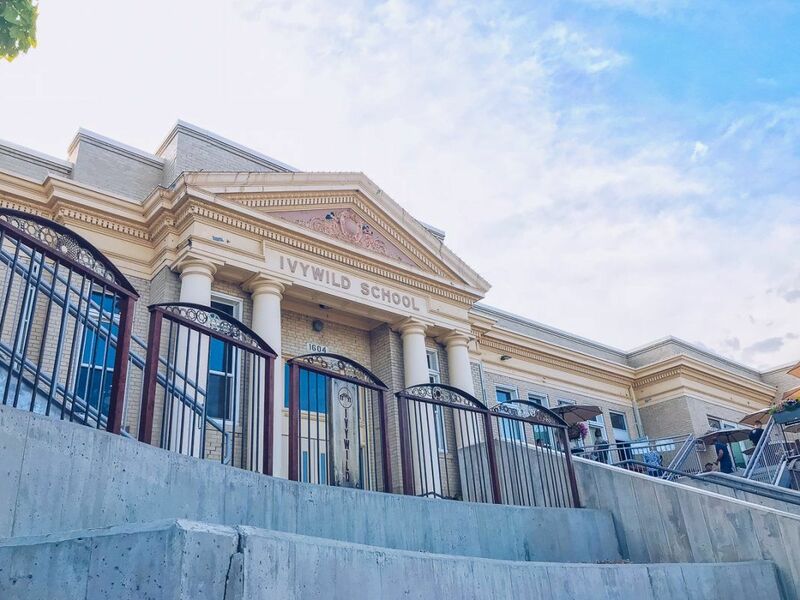 Several years ago, the Ivywild School was restored into a mixed used commercial center. 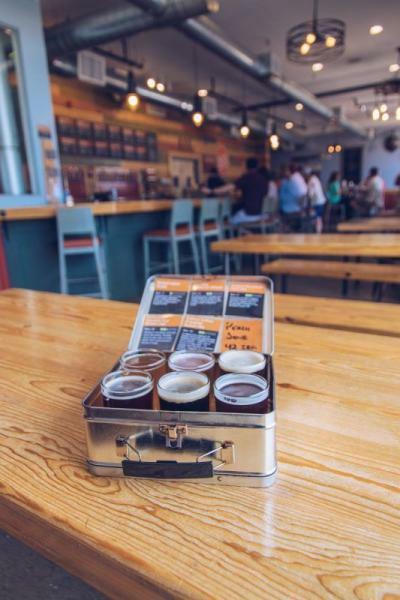 Coldcamp Brewing Company is a casual brewery featuring a variety of handcrafted ales in a relaxed, dog-friendly taproom. 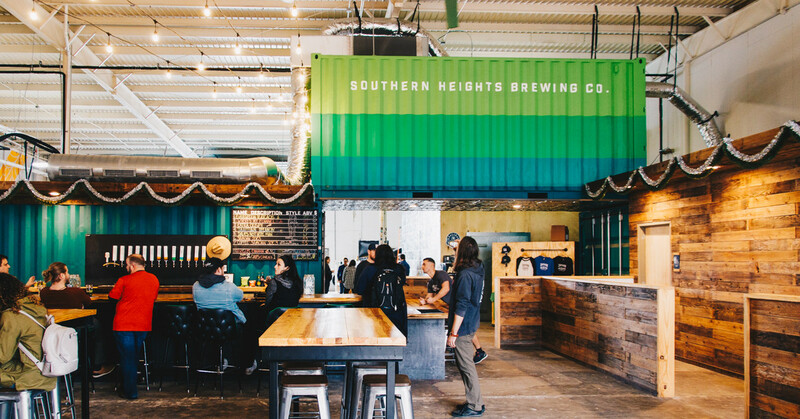 Denver is a city that is more than a complete trip in itself. 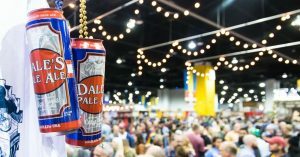 It wasn’t our first time, last October we visited so many great breweries during the Great American Beer Festival. 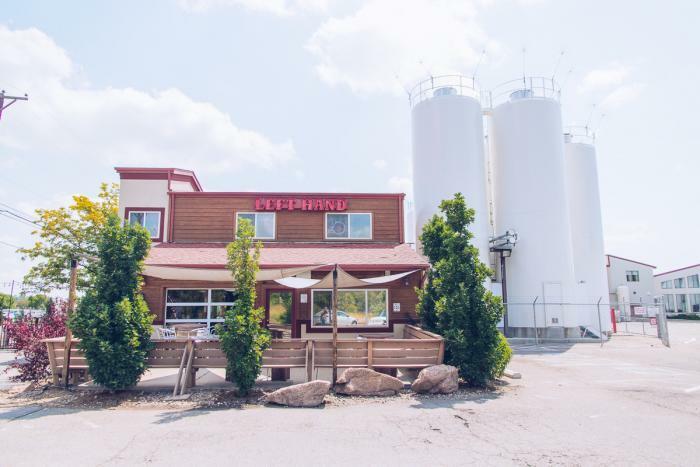 We couldn’t pass by without making a quick stop or two during this Colorado road trip. 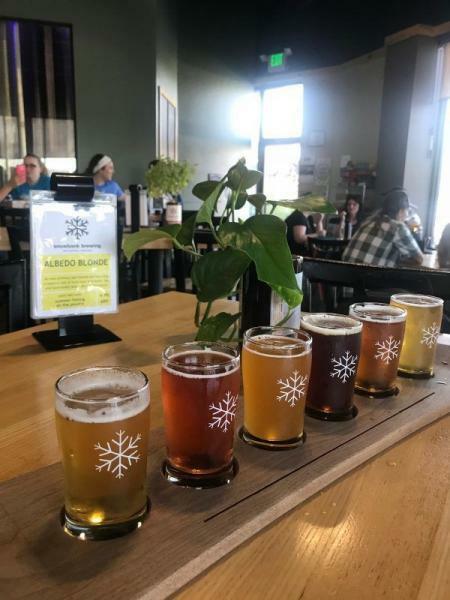 So we grabbed brunch at Briar Common Brewpub and hit up Joyride Brewing before continuing on our way home back to Texas. 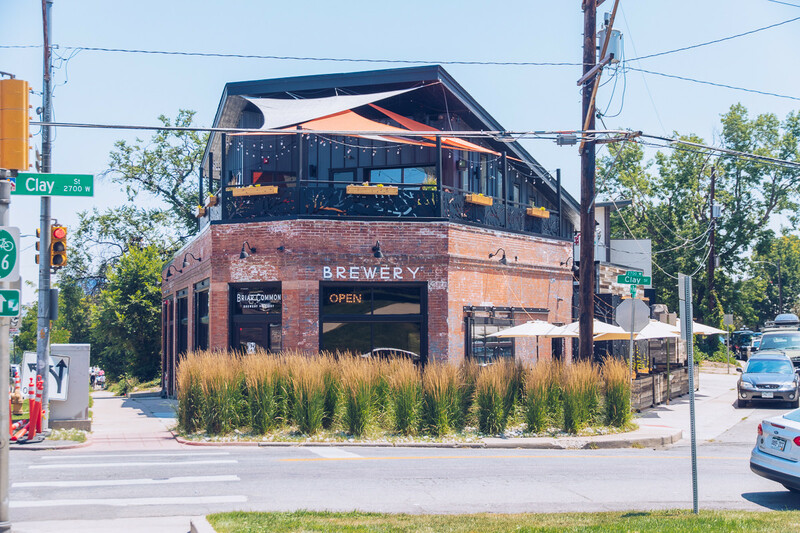 Briar Common Brewery: A modern, bistro-style brewpub creating innovative & unique beers. 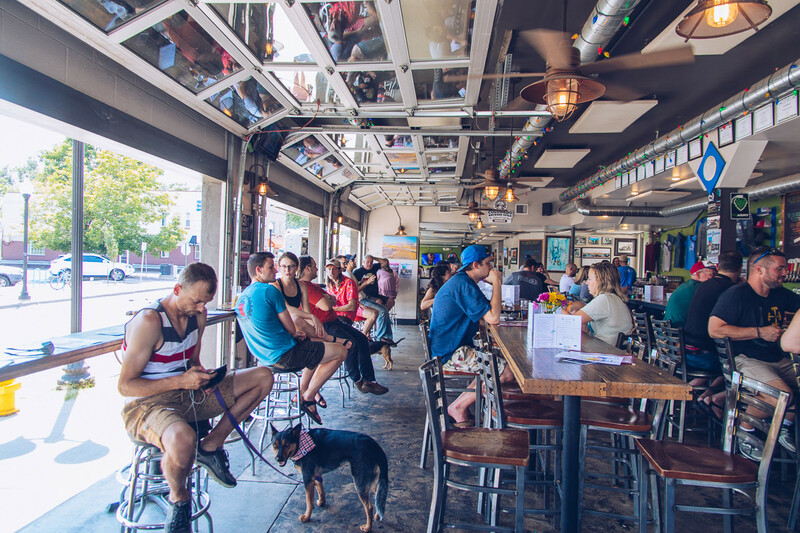 Joyride Brewing is a small, dog-friendly craft brewery in Edgewater, just across the street from Sloan’s Lake. 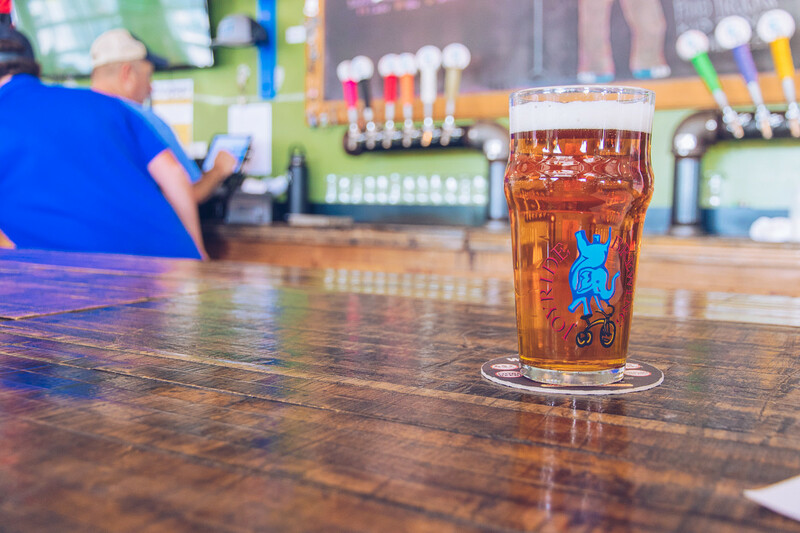 Just 30 minutes is Boulder, also known as the “Happiest Place in America” There’s plenty of hiking, shopping, and 24 breweries and it’s home to the University of Colorado. 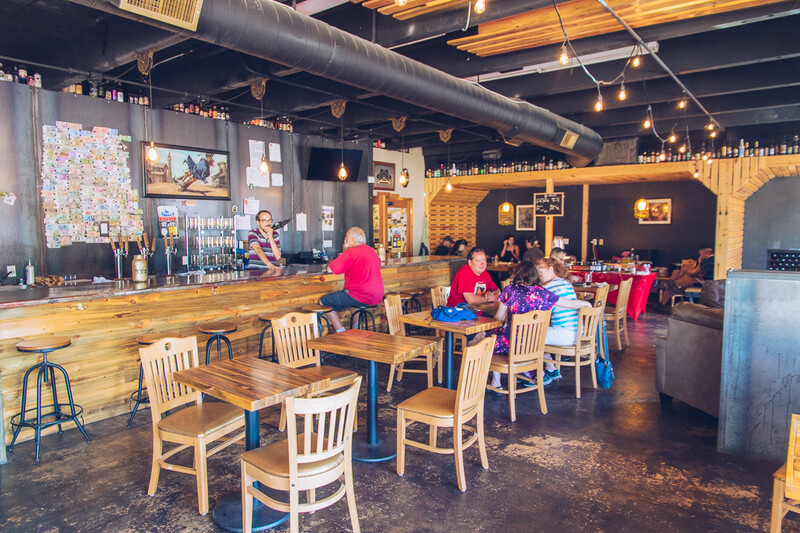 Later in our trip, we made a quick visit to Avery Brewing for some lunch and funky beers. 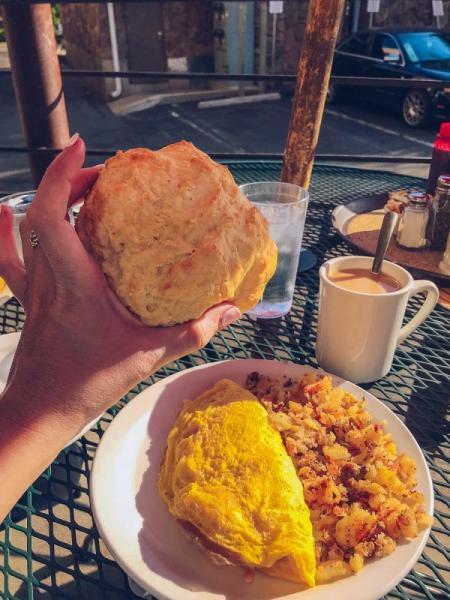 Dot’s Diner on the Hill is a simple diner that’s been serving breakfast to Boulder for the past 30 years. 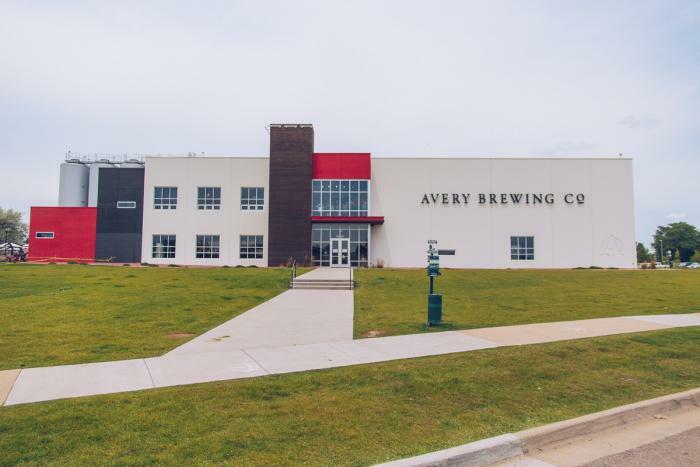 Avery Brewing Company is a large craft brewery that’s been dedicated to creating category-defying ales and lagers for beer drinkers with an eccentric palate. 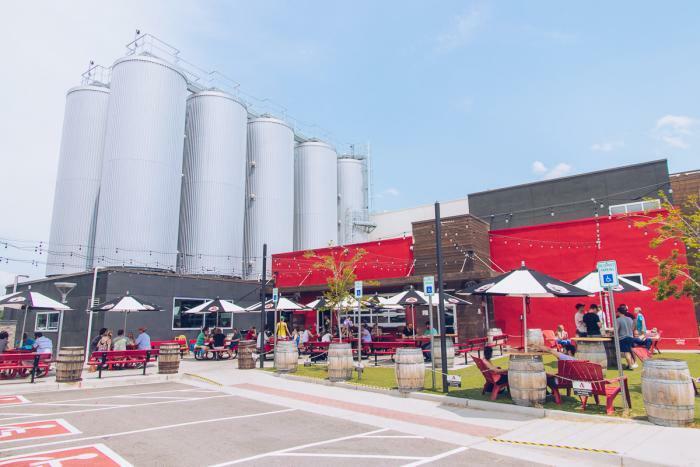 Longmont, Colorado is a short 33 mile drive northwest of Denver and is home to many great breweries like Oskar Blues and Left Hand Brewing Company. 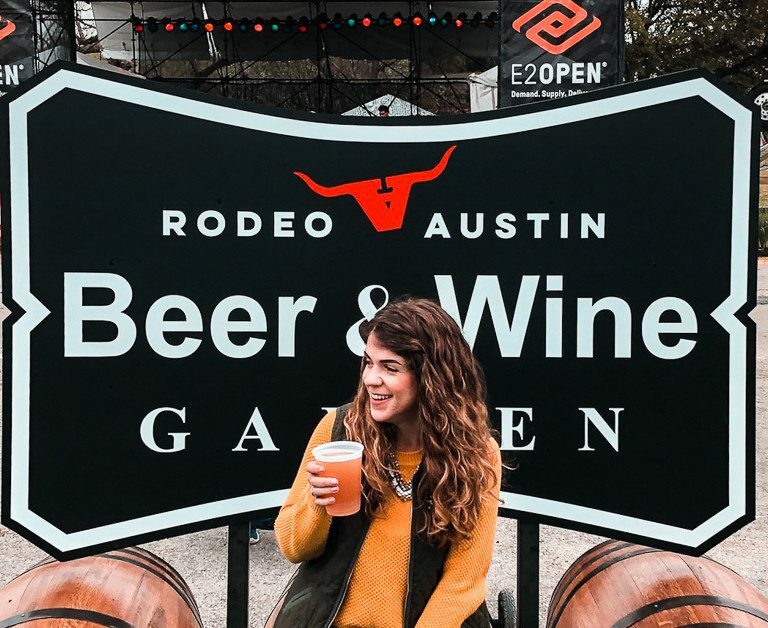 We made good work visiting this town during our Colorado road trip, and as an added bonus my Austin food blogger friend, Kelsey was also in town for the holiday weekend! 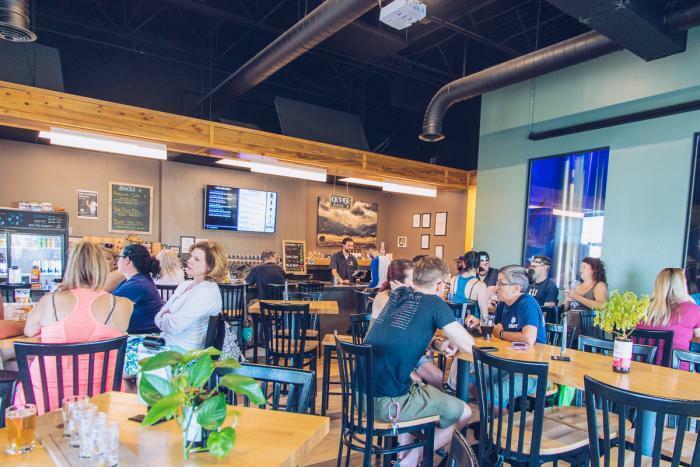 There’s 300 days of sunshine in Longmont, Colorado each year, which is the inspiration behind 3-time GABF winning, 300 Suns Brewing Company’s name. 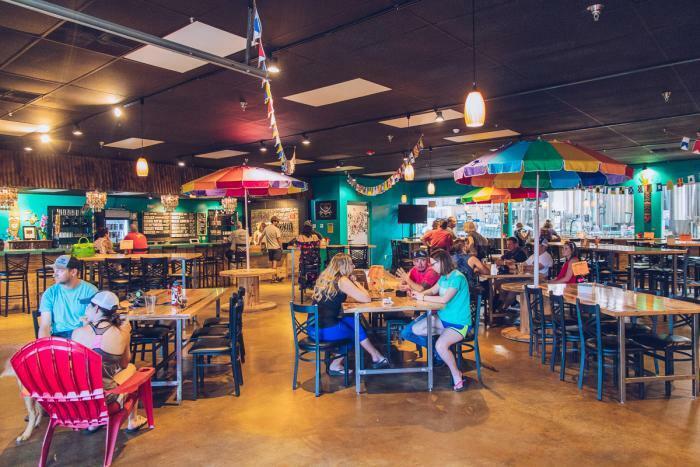 Bootstrap Brewing has plenty of unique craft beer, such as the chili-infused beer, in a cozy taproom with a bit of tiki-bar vibes. 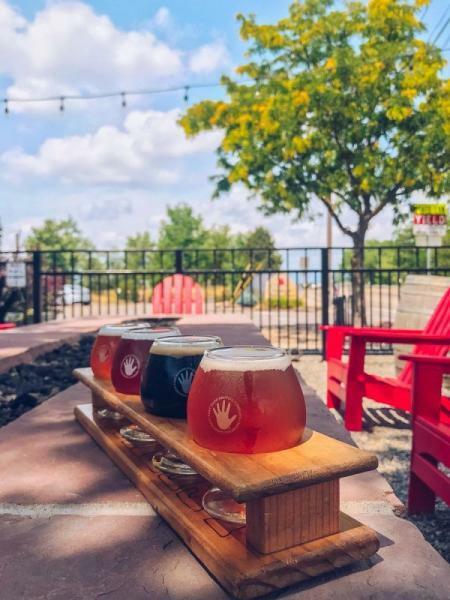 Left Hand Brewing Company is an employee-owned craft brewery with innovative beers that combine traditional and modern brewing methods. 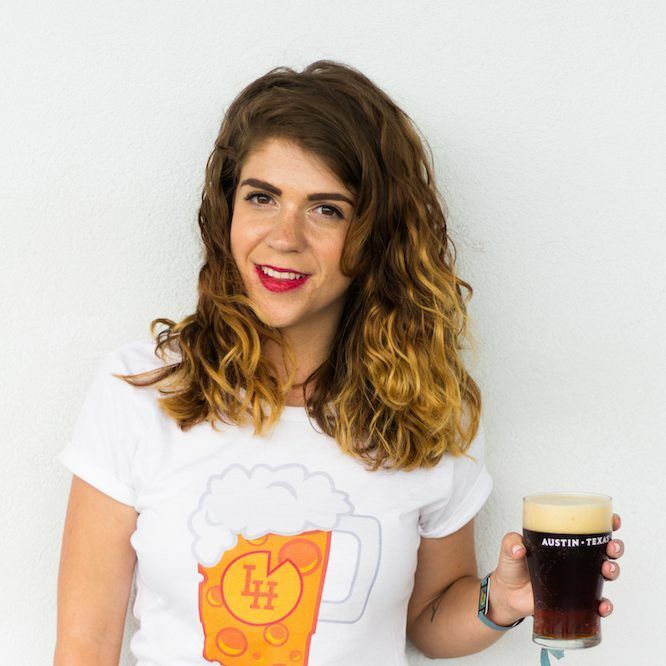 Wibby Brewing is German-style brewery brewing the classic lagers style, but with a twist. During the planning stages of our Colorado road trip extravaganza, a stop at the Stanley Hotel in Estes Park was a MUST. The drive to Estes Park is just under an hour, and your view on the way up into the Rockies will take your breath away. In case you didn’t know, this is the hotel where Stephen King came up with the idea of the book, The Shining. Stephen King and his wife only stayed at the haunted hotel for a single night, but it was enough for it to form the ‘bones’ for one of his best novels. 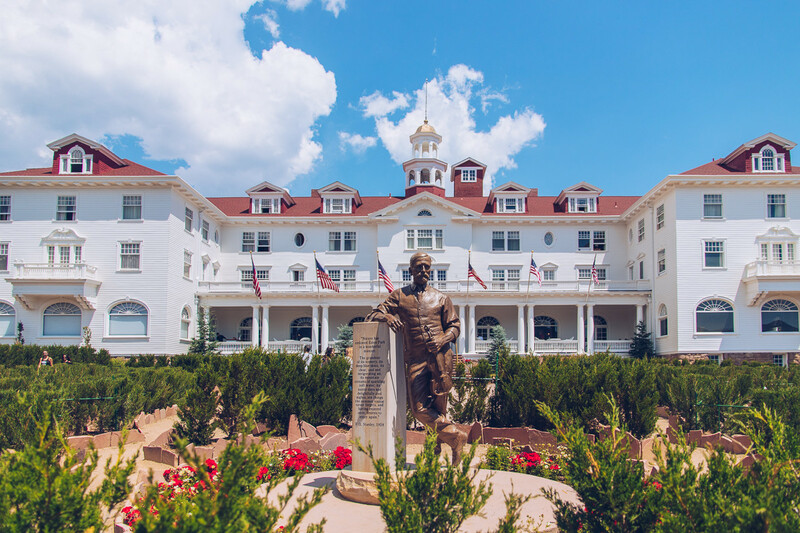 Dating from 1909, this grand hotel famous for its role in ‘The Shining’ is 4 miles from Rocky Mountain National Park. 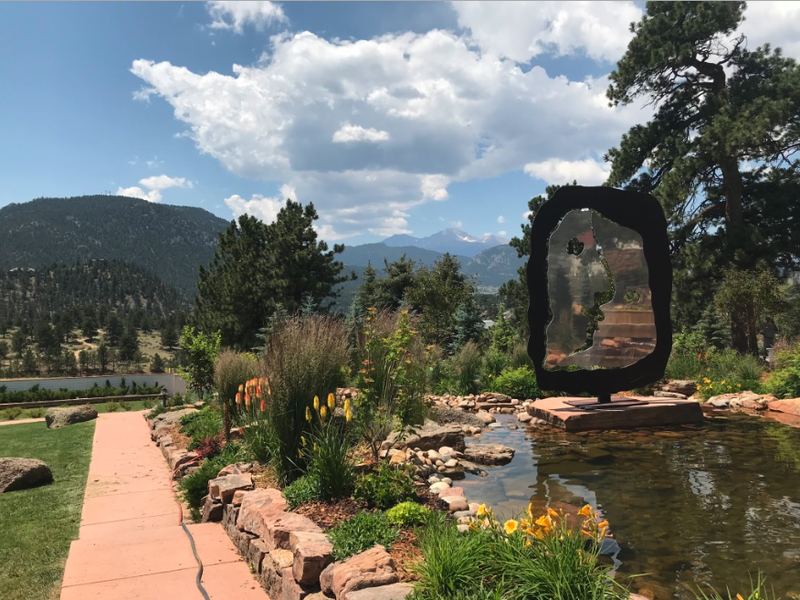 The view of the Rocky Mountains from the gardens at the Stanley Hotel. Even though it was July, there was still some snow on the highest peaks! 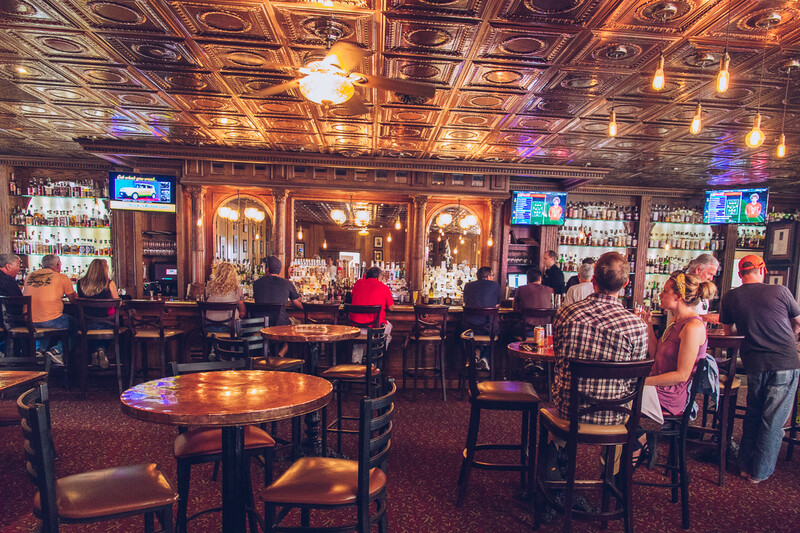 One of the best whiskey bars in the state! Finally, Fort Collins, a beautiful town an hour North of Denver, and just 50 some miles from the Wyoming border. 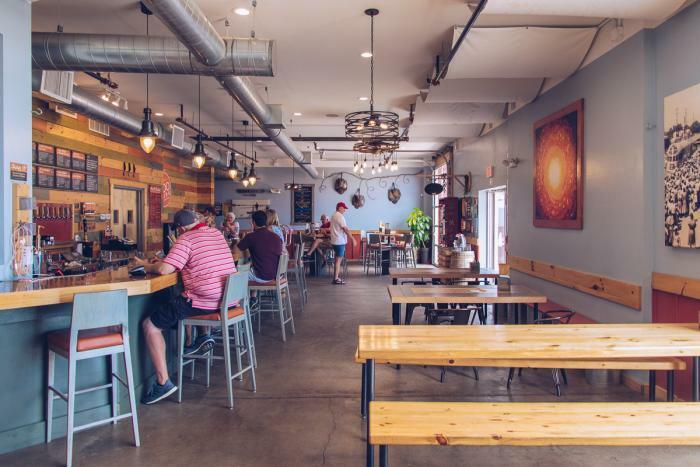 Fort Collins is a little slice of heaven, that has something for everyone. 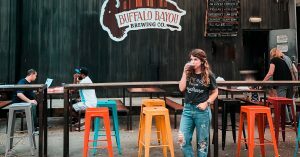 There’s a great food scene, 22 craft breweries, incredible cocktail bars, shopping, and heaps of outdoor mountain adventuring. Colorado. 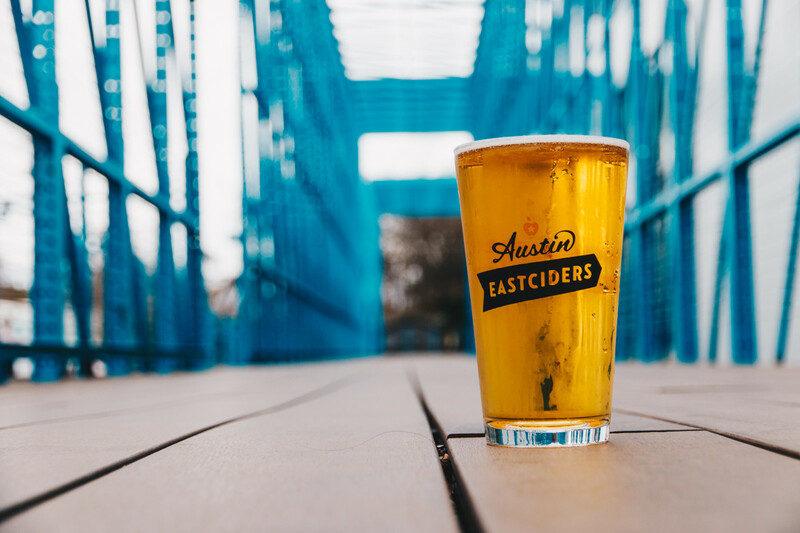 We spent most of our Saturday exploring the city, drink-by-drink, bite-by-bite. 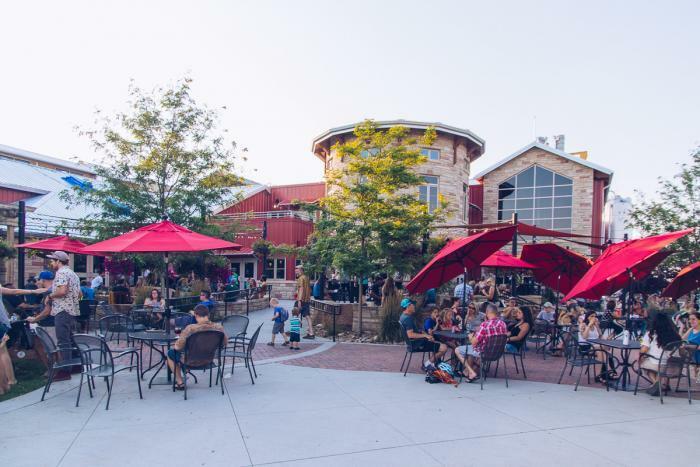 And I gotta say, I was a huge fan of Fort Collins and all of the friendly people that live there! 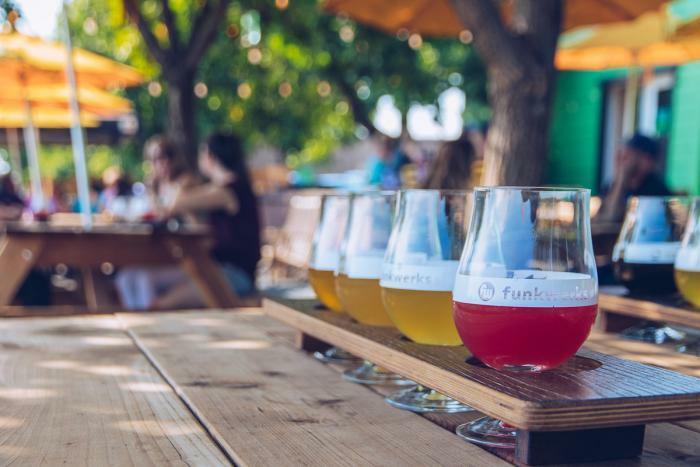 Funkwerks Brewing is a Belgian-style focused brewery known for their Saisons and sours. 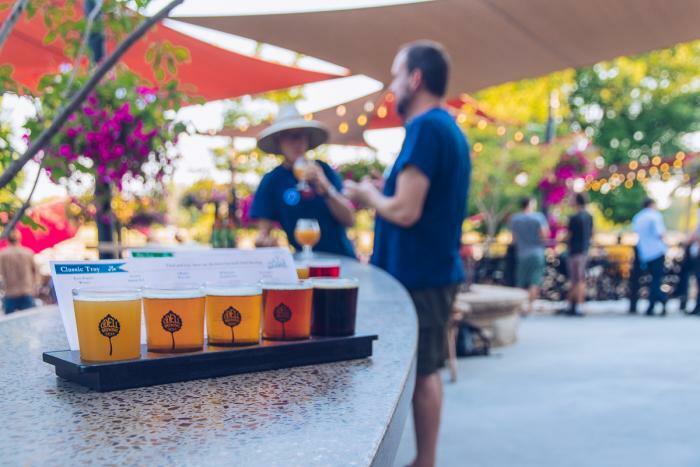 Winner of 16 GABF medals, Odell Brewing Co is an independent craft brewery that was founded in 1989 and has consistently brewed solid beers that are flagships for the industry in itself. 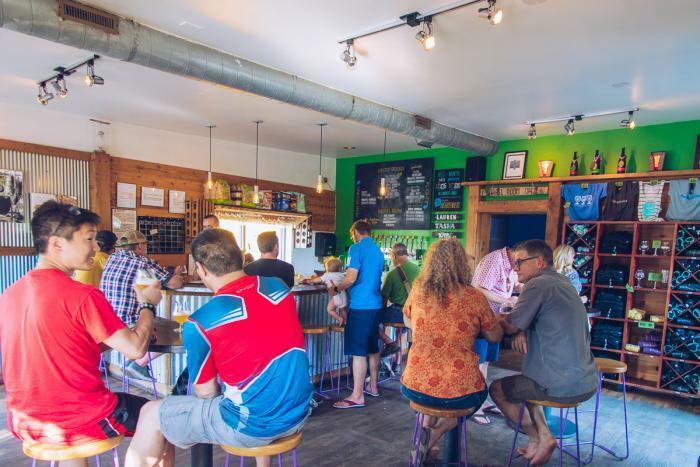 Snowbank Brewing’s name came from their days as homebrewers. 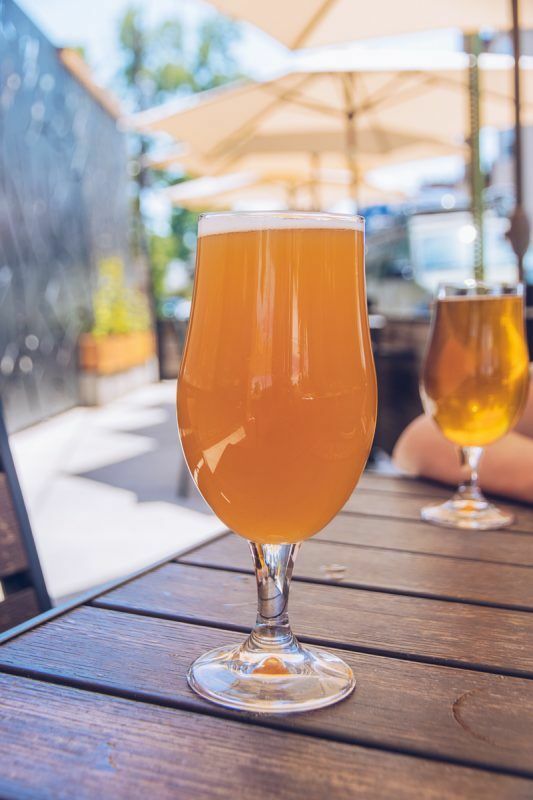 After boiling the beer and adding hops on the stove, they would need a quick, easy, inexpensive way to chill it down quickly. And sticking it in the large snowbanks was the solution. If you’re planning a road trip to Colorado, get ready for a long, but beautiful drive into the Rockies. 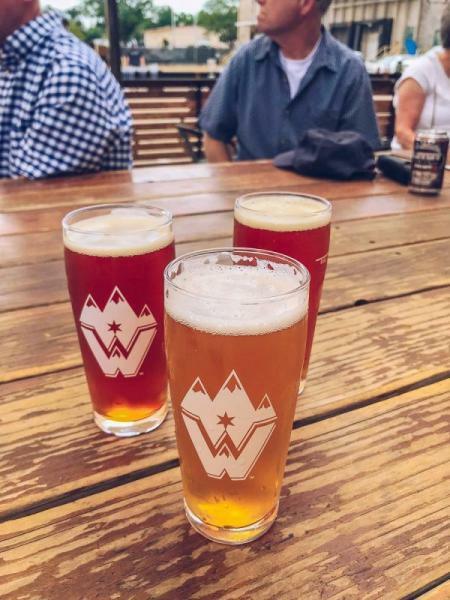 Coming from Austin, Texas, which has a measly elevation of 489 feet, to Colorado Springs with 6,035 feet, is quite the experience. One I wouldn’t mind doing again, but I think I’ve learned my lesson about waiting to buy plane tickets… 🙂 Feel to ask me any questions in the comments!